October 23, 2017—The AIR in Real Time live feed showcases producers doing what they do best: Making story. Join us this week as we dive into mixtape journalism, an 11,000 mile road trip, and the stories behind how we became human. Take a listen to the spotlighted pieces (one of which is produced by an all-AIRsters team! ), then contribute your own work with the hashtag #AIRsters on social media. You could be featured! 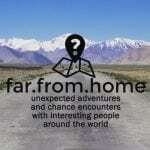 “I describe Far From Home as a podcast about my unexpected adventures and chance encounters with interesting people around the world. For this first season, I’m documenting an 11,000 mile road trip I took through 18 countries, eight time zones, five mountain ranges, and a few deserts, from London to Mongolia in a ridiculously tiny car. I’ve always loved traveling and experiencing different cultures, and back when I worked in public radio, some of the best and most memorable experiences I had took place when I was reporting abroad, so I’ve decided to keep traveling and sharing my experiences with my listeners. I think the underlying theme of much of my work on the podcast is that nearly everywhere I go, people are generally more alike than they are different, so I’m thrilled to have the opportunity to include conversations and interactions I have with folks in such far-flung places at Iran, Russia, and Kazakhstan, to dispel stereotypes and show how fascinating and complex the world really is. 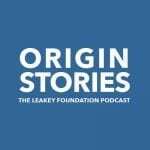 “Origin Stories is The Leakey Foundation’s podcast about how we became human. We explore big questions about why we are the way we are. Who are we? What makes us different from chimpanzees? How and why did we start making art and music? We tell the stories behind the search for answers to these questions. I love making this podcast! The science is fascinating and the scientists are amazing people to talk to. Looking at today’s human experience by exploring our deep history makes me think about life very differently and I enjoy that perspective. 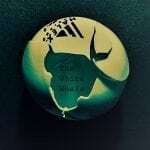 “As its description says, The White Whale is a place of audio and a place of ideas. I think about the episodes as spaces of listening, spaces of composition. I was formally trained as a composer and poet so I think about rhythm, the musicality of language, and moments of non-literal sound design that make for an empowered listening space. Making The White Whale is as much about sound, about the space of sound, as it is about the content of interview tape. I genuinely see each episode more like a piece of composition and think about it like a composer rather than a piece of audio journalism (though it is that as well). Want to know what else is going on in the network? Find more #AIRster projects on our live feed and share your own to join in on the fun!